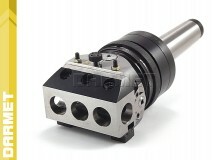 Boring heads are used with jig boring machines as well as drilling and milling machines for precision boring of larger diameters. 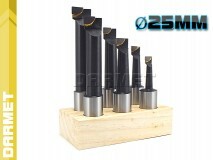 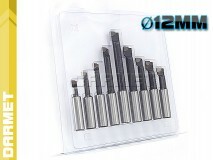 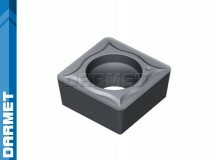 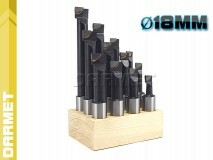 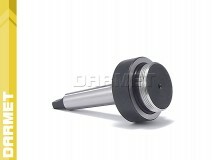 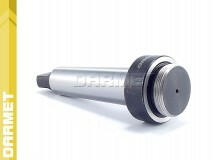 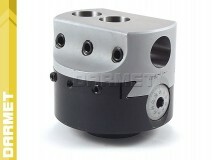 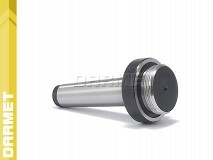 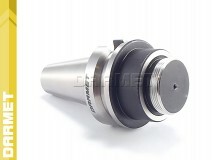 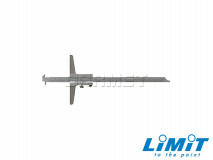 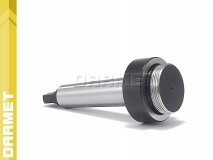 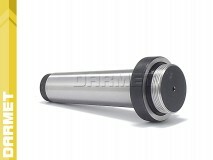 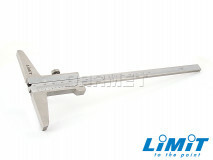 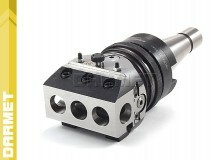 Holes on the sliding plate of the boring head are used for mouting boring bars. 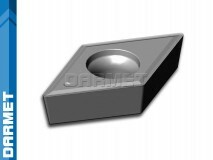 Sliding plates can have mechanical cross-feed, which enables turning of face surfaces and turning of internal or external circumferential grooves. 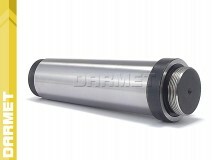 What is more, with proper coupling of sliding plates' cross-feed with axial feed of the spindle it is possible to bore taper holes. 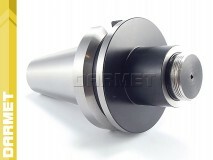 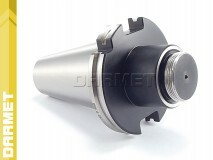 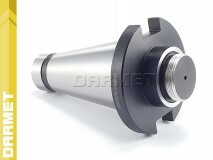 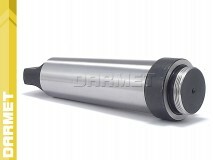 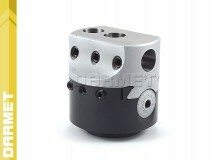 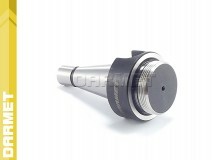 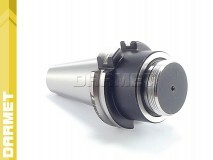 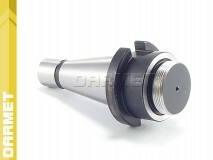 Universal boring heads can be mounted on any shank.